Some elegant luxury apartment buildings have a maisonette, a ground-floor apartment with its own, separate entrance. 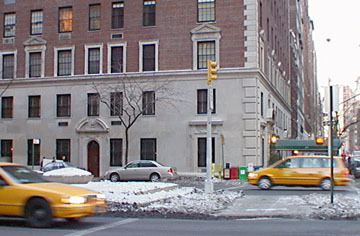 This grand residential building has four, each with their own very impressive entrances on Park Avenue. The architect, Rosario Candela designed them to make the full-block frontage on the avenue more interesting and the Italian Renaissance detailing is superb and very handsome. 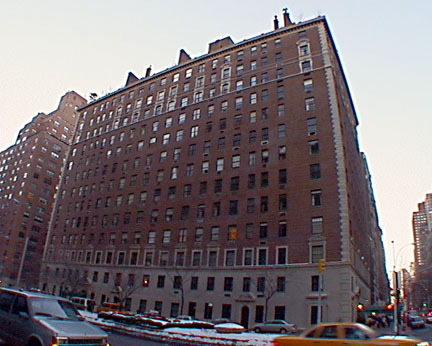 The 13-story limestone and brick building, which is also known as 101 East 72nd Street, has only 47 apartments including several duplex penthouses. 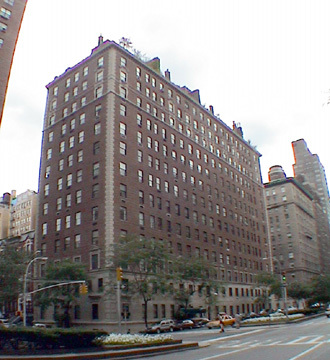 It was developed by Michael E. Paterno and completed in 1927, replacing 10 buildings on the site including the former residence of Alma Gluck Zimbalist at the 72nd Street corner. Although not quite as flamboyant as some of its nearby neighbors on the avenue, 775 Park Avenue is very impressive: its apartments have two to six fireplaces, ceilings range from 10-feet-four-inches to 13-feet tall. "Although Candela designed 775 Park Avenue, as well as 47 Plaza Street in Brooklyn in 1928 on his own, he frequently collaborated with other, more established firms. In the late 1920's and early 1930's, Candela reached his peak in four splendid apartments, one of which, 770 Park Avenue, he designed on his own. Candela is widely considered to have been the countrys greatest designer of luxury apartment buildings and he collaborated with many of the citys most famous architectural firms. Born in Sicily, Candela came to the United States in 1909 and graduated from the Columbia School of Architecture in 1915. His other famous buildings include 834 and 960 Fifth Avenue, 720, 740, and 778 Park Avenue, and 19 East 72nd Street, all considered among the most glamorous addresses in the city.